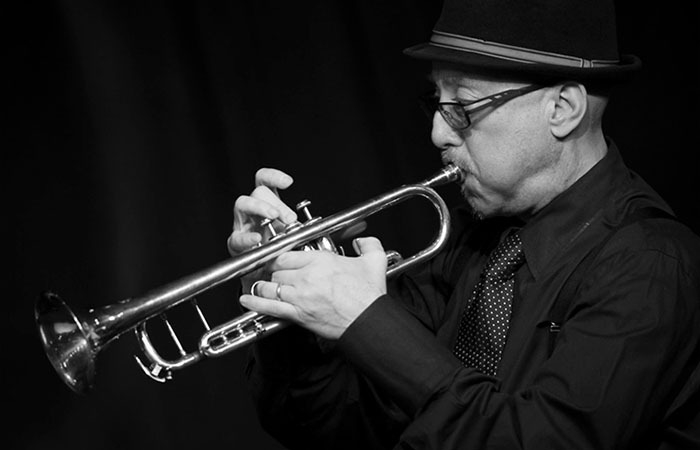 Spheres of Influence, led by Grammy Award-winning trumpeter, composer Brian Lynch – best known for his work with Art Blakey and his collaborations with Eddie Palmieri – held court at a sold out house at Minton’s in Harlem last Tuesday as part of Jazz at the Crossroads – The Dance of Eleggua. Lynch and his band mates – pianist Zaccai Curtis, bassist Luques Curtis, drummer Ralph Peterson, saxophonist Louis Fouche and percussionist Little Johnny Rivero – took the audience on a crowd-pleasing journey representing his musical trajectory, from the classic Hector Lavoe/Willie Colon hit, La Murga, to “Dance the Way You Want To”, a tune conceived when a band mate witnessed Lynch’s idiosyncratic “choreography” (dance moves) onstage. On a larger scale, the music and the series represents a renaissance of New York jazz that’s being created by musicians and composers from Latin America; a movement that, according to Sullivan, “has been ignored to the point of suppression.” By all accounts Jazz at the Crossroads is more than “just” a music series, it’s a concept with a sense of history and unwavering respect for Jazz and Afro-Caribbean music, its founders and the artists who continue to perpetuate the genre.